The first North London Derby of the Emery era was a pulsating affair as Arsenal came from behind to score three goals in the second half to clinch the win. The Gunners trade places on the table with Spurs to move to fourth place, level on points but ahead on goal difference. The game had everything – beautiful goals, a cheating opposition who got what they deserved and even a touchline spat involving the players. Here are 5 things we observed in the 4-2 win against Spurs. When the team sheet was announced, many raised an eyebrow to the return of the back three and the omission of Mesut Ozil. All that was forgotten once the match started. Arsenal came out all guns blazing, swarming Spurs players high up the field and never giving them a moment to breathe. Concerns about poor defenders were gone as everyone took up that responsibility from front to back. The front 3 set the tone well for the rest of the team as they never stopped running and created many turn overs to trouble the Spurs backline. Torreira’s hard running was inspiring and even Kolasinac was putting in a solid defensive shift. Spurs struggled to match Arsenal’s pace and Arsenal went ahead deservedly through a coolly taken penalty. Arsenal did drop their intensity midway through the first half which culminated with Spurs gaining a foothold in the game and scoring two (questionable) goals. I hope Emery shows this game during his post-match video analysis to remind the players of the importance of sustaining their focus and intensity. If they play at full potential, they might finally just be able to enter half time with the lead for the first time this season. No better time to start than against United on Wednesday night. Arsenal let Spurs back into the game in the first half when they slowed down the game. This led to a few nervy moments when the Gunners’ backline reverted to the porous defence we’ve come to know this season. However, there were elements of luck in each goal. Replays showed that Dier was marginally offside for the first goal though Leno could have done better to protect his near post. Son looked threatening on the counter but the supposed foul that gave away the penalty was actually a dive. Any contact by Holding on Son was minimal at best but the Korean winger made the most of it to deceive the ref. In his first interview, Emery spoke about being a “protagonist” and taking the initiative to win every game. Even by his standards, his two half time substitutions to bring on Ramsey and Lacazette seemed radical. Iwobi and Mkhitaryan did a decent job in the first half, especially in the first 20 minutes, and I thought that they’d be given until the 60th minute to get Arsenal back into the game. They were also more natural playmakers than the two substitutes and I thought they could have created more for Aubameyang. However, the substitutes did not disappoint. They added energy and helped the team press even harder to wrestle back momentum. Ramsey notched 2 assists (one from pressing Foyth on the half way line) and Lacazette scored the third goal to put Arsenal back in front. Despite their lack of playmaking nous, their hard work to create turn overs was crucial in creating those chances – reminiscent of Jurgen Klopp explaining that the true playmaker in a high pressing system was the system itself. Arsenal are now the “highest scoring second half team” in the league having scored the most goals (24) in the latter half of matches. This could be a testament to tactical changes and improved fitness that have helped the Gunners move up gears as the game progresses. They still need to work on the first half performances but opponents now know that Arsenal will give them a tough game right until the end. Surely Aubameyang has done enough to be the lead striker if he carries on playing with this intensity and keeps the goals coming. Usually quite peripheral in the physical battle, he joined up with his supporting attackers to harry the Spurs backline and led the line well. His taking of the penalty showed that he was ready to take responsibility for the team but the highlight of the game was his Henry-esque finish for the equalizer. Aubameyang never scored a lot of goals outside the box during his Dortmund stint but he’s been given free rein to shoot from distance. His technique is brilliant – guiding the ball at pace into the corner of the net. World class. And finally, an honourable mention for Lacazette who came on and had a job to do on the right. 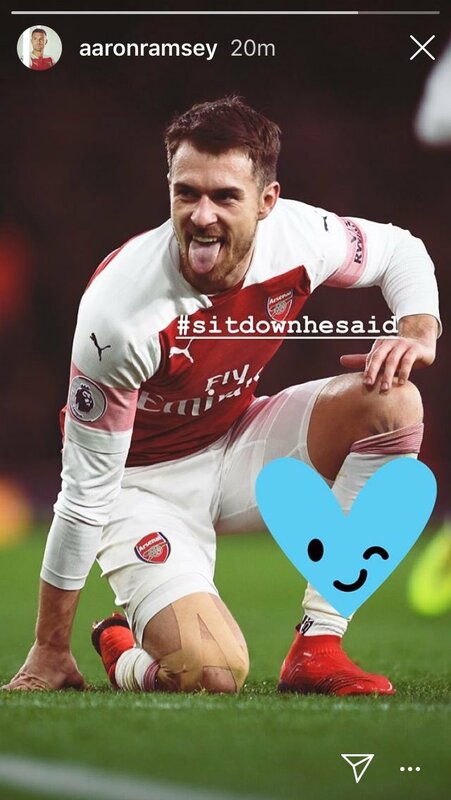 He didn’t complain or sulk being played out of position but fought hard for the team to win the ball and was selfless to create chances for Aubameyang. His hard work paid off when attempting to score from outside the box with his left foot as he gave Arsenal the lead for the second time in the game.